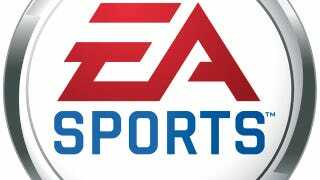 Electronic Arts today said it will expand its EA Sports operations to Texas, and bring in more than 150 new jobs in a move the state government will back with financial incentives. EA Sports isn't yet naming what specific titles will be built at the new Texas operation, which will be joined by 150 jobs from elsewhere in Electronic Arts. Daryl Holt, the chief operating officer of EA Sports, also wouldn't say if any titles' development would be transferred to Texas, though it didn't appear that keystone products such as Madden or FIFA were being considered for such a move. "The beauty of Texas is it's such a huge, knowledgeable sports culture," Holt told Kotaku. "For us it's not about moving a core franchise right now." Holt added that the new jobs in Texas would not mean position cuts at EA Sports' other two studios, in Burnaby, British Columbia and Maitland, Fla.
An internal memo from Holt to EA Sports employees, leaked to IGN last month, indicated a Texas expansion would focus on the label's priority of delivering persistent online game experiences. Asked about that, Holt didn't necessarily position the Texas location as EA Sports' online development headquarters. "It's something that is going through all of EA Sports," Holt said. "Our focus now is, how do we bring all of that together, with a mix of new jobs and our expansion of development and services, to meet all the need." EA already has about 450 employees in the Austin area, which includes a branch of BioWare. Frank Gibeau, the president of EA Games, praised Texas Gov. Rick Perry's involvement in recruiting EA to the state, saying he "really understands our industry and wants it to be a key part of the Texas economy." Gibeau would not disclose the size of the incentive package EA is to receive from the Texas Film Commission. Negotiations began about eight months ago, he said, and required legislation making games development eligible for incentives from the commission. Perry helped shepherd the legislation through the statehouse; EA Sports spiced up its lobbying by playing to Perry's ties to Texas A&M, creating the governor as a 99-rated Aggie quarterback in its NCAA Football 12 game and sending him a highlight video. "We worked hard on it," Gibeau said. "It's something we've accomplished in British Columbia, Florida, and Quebec, similar [incentive] programs have been created there that we helped champion. We take this stuff seriously." The legislation isn't EA-specific, so its legacy will be in helping Texas draw other game developers to the state. For EA Sports customers, while Holt wasn't talking specific games or projects yet, he did say they will notice the Texas studio's contributions once it comes aboard. "You're going to see us take advantage of access to great talent here; it means there's more talent and more sports fans making video games," Holt said. "Plus, it allows us to get to some of the things we wanted to get to, faster."